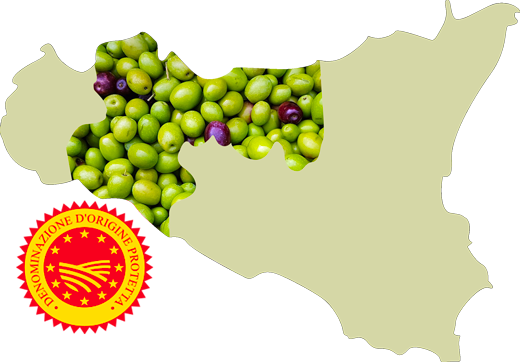 The Consortium for the Protection of Extra Virgin Olive Oil DOP "Val di Mazara"
The protected designation of origin "Val di Mazara" is reserved for extra virgin olive oil that meets specific requirements and conditions. The olives are produced, processed and packaged throughout the province of Palermo and in some towns of the province of Agrigento. Established in 2002, our Consortium for the Protection of Extra Virgin Olive Oil DOP “Val di Mazara" guarantees the quality of the product in all stages of cultivation, production and distribution. The main objective that the Consortium for the Protection of Extra Virgin Olive Oil DOP "Val di Mazara" has been pursuing for years is to guarantee the consumer a product subject to strict traceability checks. In addition to being clearly visible on the label the DOP brand, the consumer will always know, through the identification code on each bottle, where and by whom the oil he bought was produced, processed and bottled. There are so many oil lands and every land has its own history. Ours is special. It starts from the rocky mountains that descending precipitate to the sea and it continues to the plains of the provinces of Palermo and Agrigento. 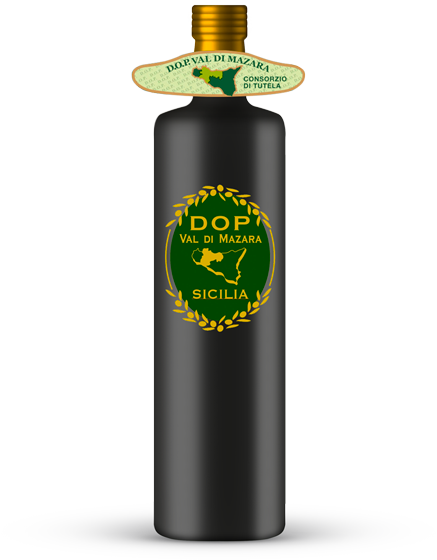 It is there that the native cultivar Biancolilla, Nocellara del Belice and Cerasuola meet and give life to the extra virgin olive oil DOP "Val di Mazara" , an unique heritage of its kind. Our "Val di Mazara" DOP extra virgin olive oil is the result of the synergy between producers, millers and packers who dedicate themselves with passion and professionalism to every phase of the production: from the selection of the best olives to the final bottling. Respecting the tradition and the territory, they bring a genuine and natural product to your table.